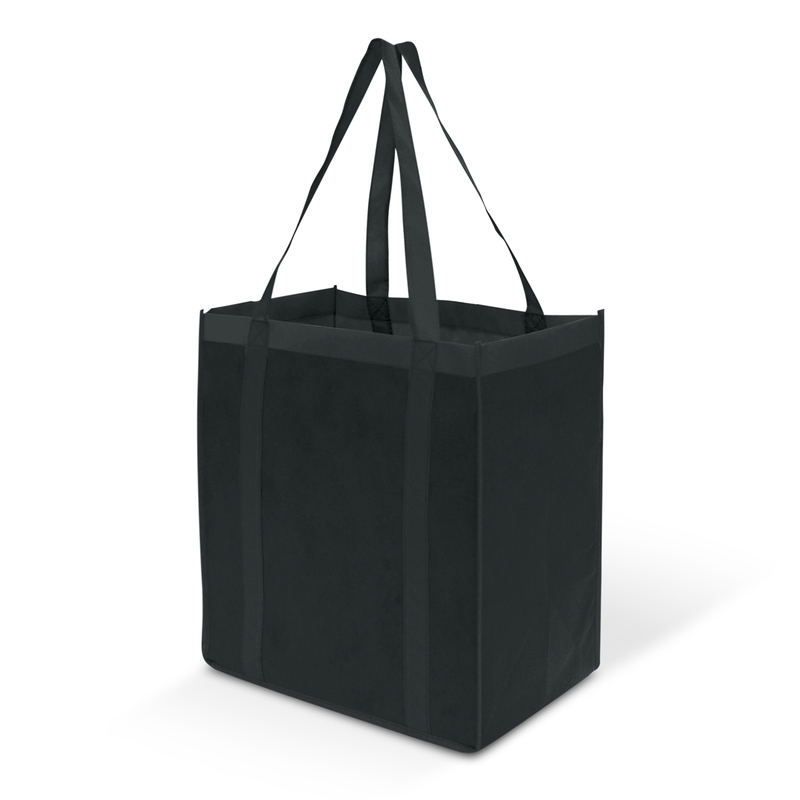 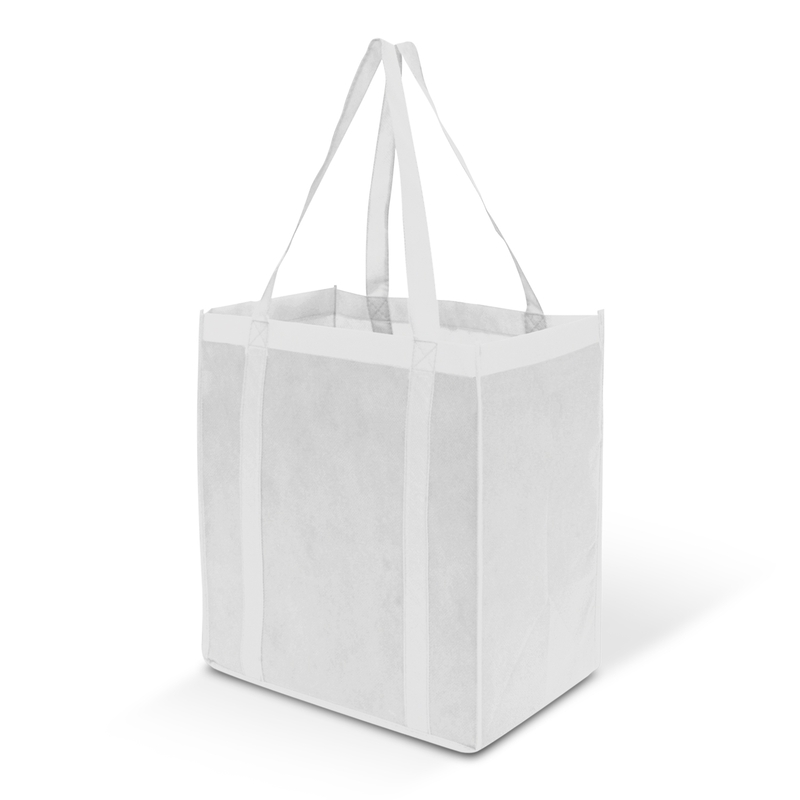 A promotional shopping bag that will help the planet and get your groceries home in one piece. Make your trips to the supermarket a breeze with some of our super shopper tote bags. They're robust and have a large gusset that's ideal for carrying heavy products such as groceries. 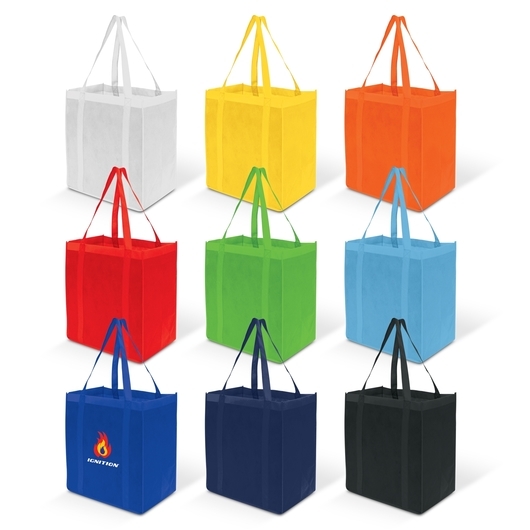 They're made from 80gsm eco-friendly non-woven material and can be recycled. They come in a fantastic range of colours and has reinforced handles and a reinforced cardboard base for added strength.